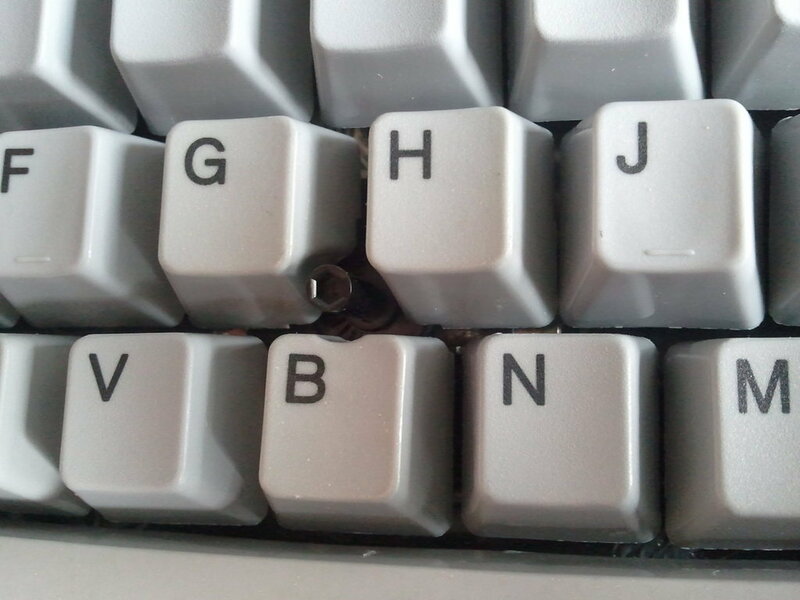 Buckling spring keyboards like the legendary IBM Model M keyboard feature a great tactile and acoustic feedback while you´re typing. Compared to today´s often cheaply engineered and fabricated chiclet and membrane keyboards with all their glue and printed foil layers, their sturdiness and repairability seems almost out of this world now. Some time ago I got my hands on an Endura Pro keyboard from Unicomp - a keyboard that is closely based upon the timeless design of the IBM Model M keyboard. In addition to this original design, Unicomp added many more modern features such as an USB connector cable, a Trackpoint (inspired by early IBM Thinkpads) and the Windows-key. In the following photo I removed one of the buttons to show you the underlying buckling spring mechanism. 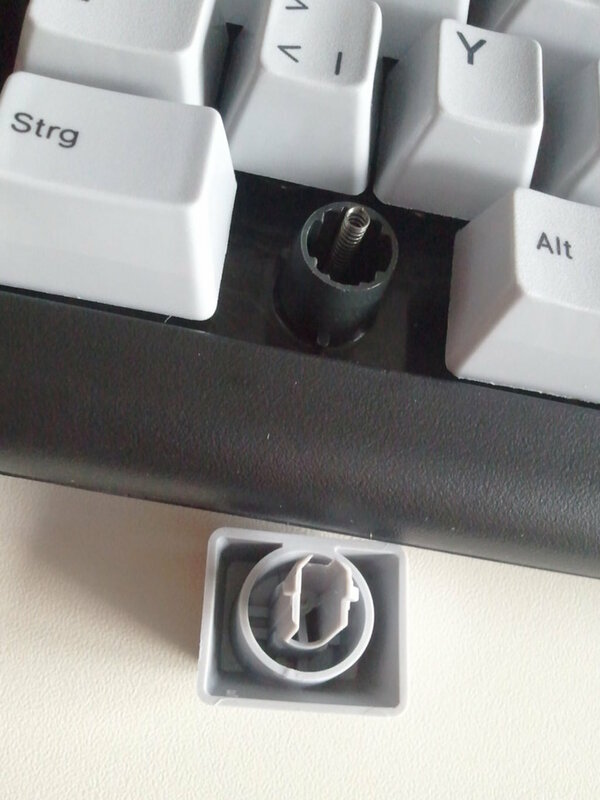 Although the keyboard works okay regarding it´s mechanics, I was quite disappointed by its quality in detail. 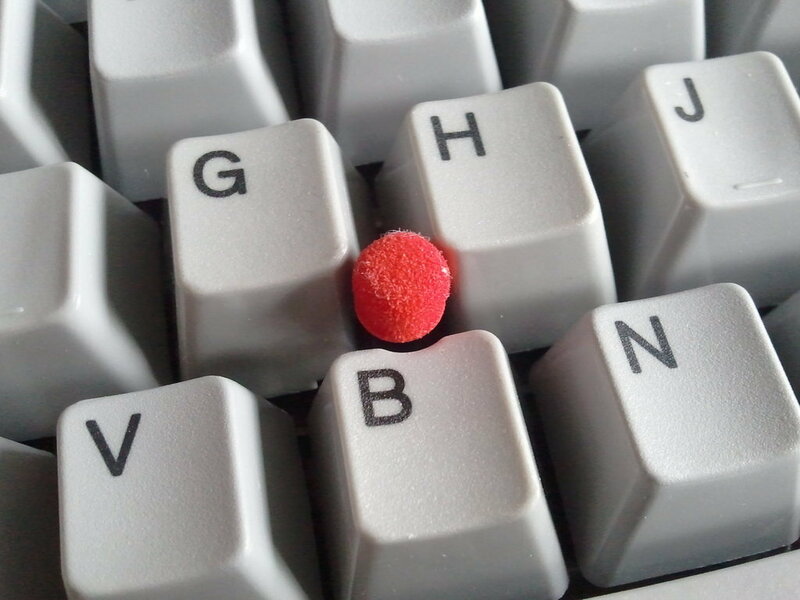 There is for example the Trackpoint. Just as the patents the keyboard itself is based upon, the revision of the Trackpoint that Unicomp licensed here, is rather outdated, too. Precision and touch feedback quality of the Unicomp Trackpoint are absolutely nothing compared to the great Trackpoints in today´s Lenovo Thinkpads. 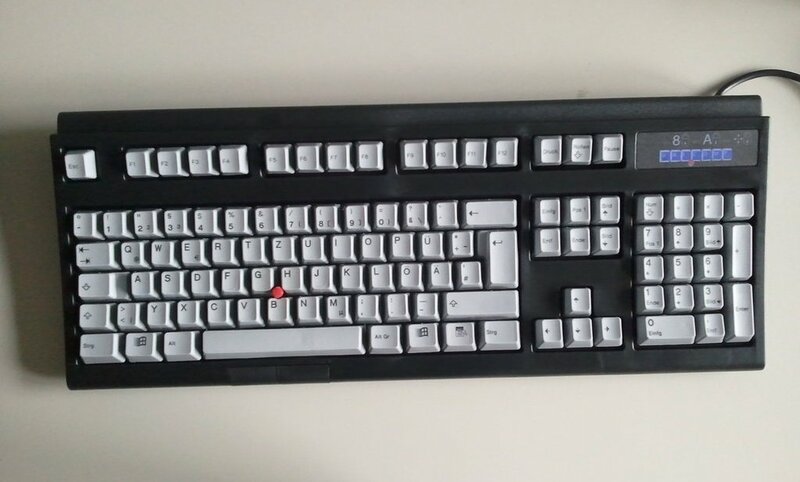 The stem under the Trackpoint cap is much to high, stiff and shaky to allow a precise movement of the mouse pointer and the two mouse buttons on the lower edge of the keyboard (no - there is no third mouse button for scrolling here...) are much to hard to press them fast and effectively. One last thing that got my attention is the cheap quality of the plastic and its finishing. 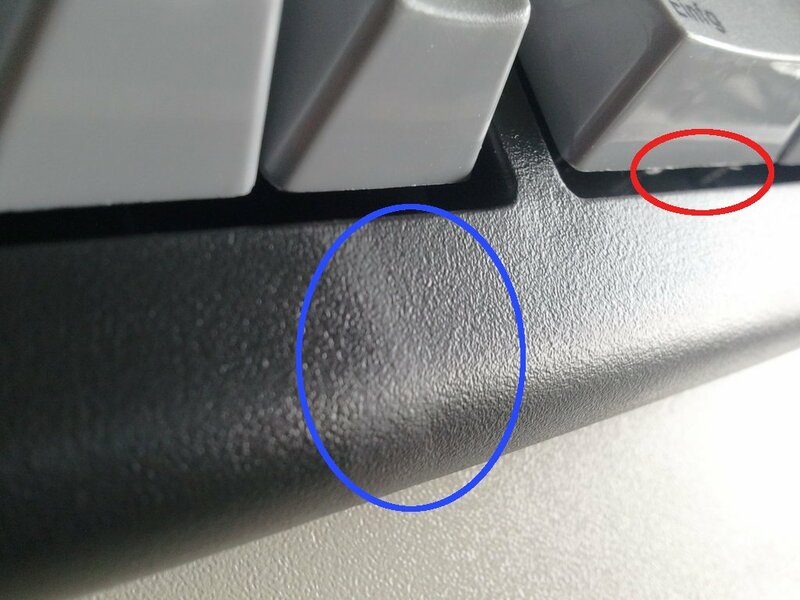 As you can see in the above photograph, the plastic of the keyboard has some irregularities in its granulation (blue circle) and the keys´ edges seem to have not been deburred at all (red circle). For a keyboard that can cost you more than 100 $ (or even more than 100 €, if you live in Europe), this is somewhat disappointing. Overall I think Unicomp, has still some work to do to make the best computer keyboard of all time. I think using a more recent revision of the IBM Trackpoint system and more precise molding forms combined with some edge deburring (e.g. short contact with a hot stream of air) could help a lot to make the Endura keyboards an even better product.